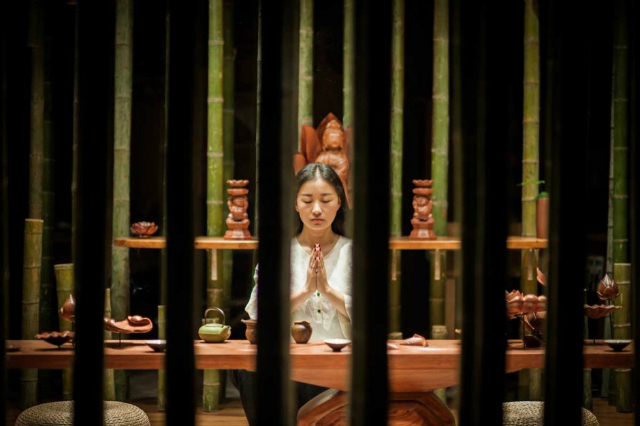 For the 2014 China International Aguilaria Culture Exposition and Living Space Exhibition, Shanghai-based design studio, Minax, completed this blissful tea room. 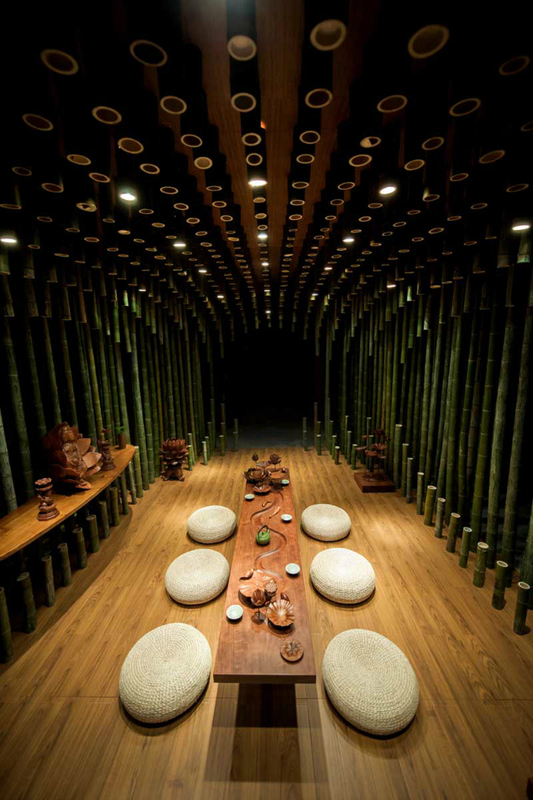 The room is made of 500 bamboo pieces that are six centimeters in diameter in various heights. 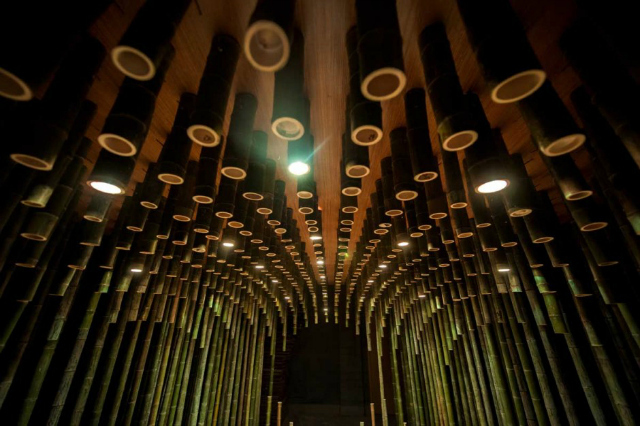 The layout is well thought out and executed as the varying height mimics the shape of an ellipsoid inside a cube with spot lights inside cut bamboo that cast light in specific spots so when people enter, the dark (or negative) spaces emphasize the ellipsoid shape. 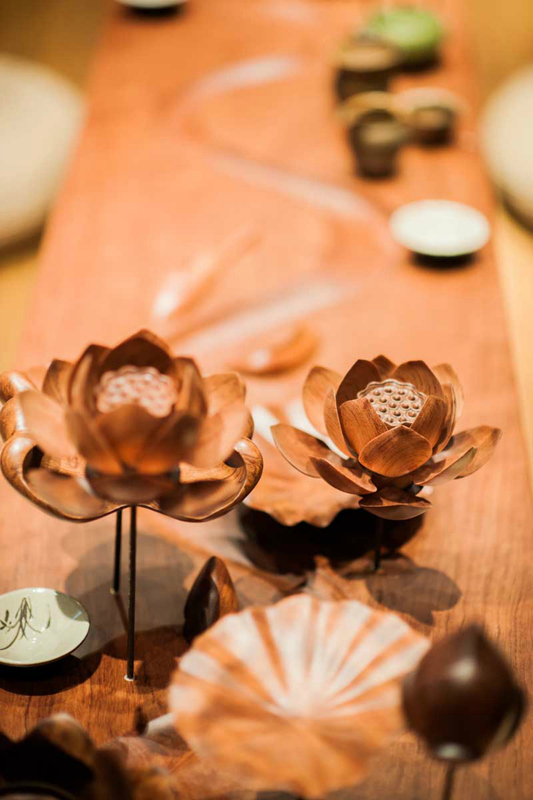 The lotus theme is prevalent throughout the space. . 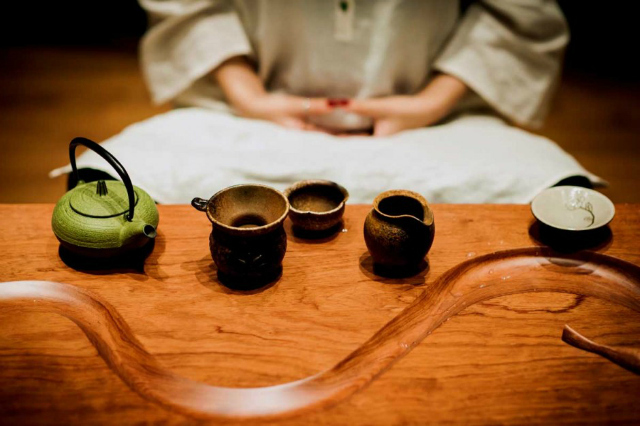 There are lotus blooms placed on top of the table with a detailed canal carving in the middle, making the long tea table live up to its name "Qushui," which means "winding creek" in Chinese. 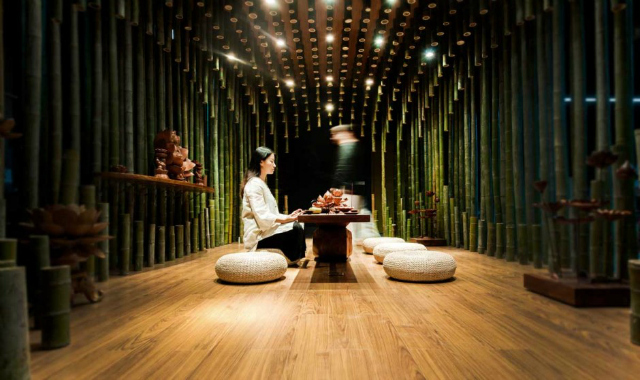 The integration of wood, light, bamboo and tea create a peaceful, artistic and magical setting for a tea room. it's so tranquil and cool! i love it. This place looks amazing, peaceful, and a beautiful work of art! "Magical setting" is right! This is so beautiful and seems so peaceful. The exact attributes you want in a tea room. I am obsessed with bamboo, too. There is something so fresh and interesting about it! A beautiful space. Whoa that is stunning! 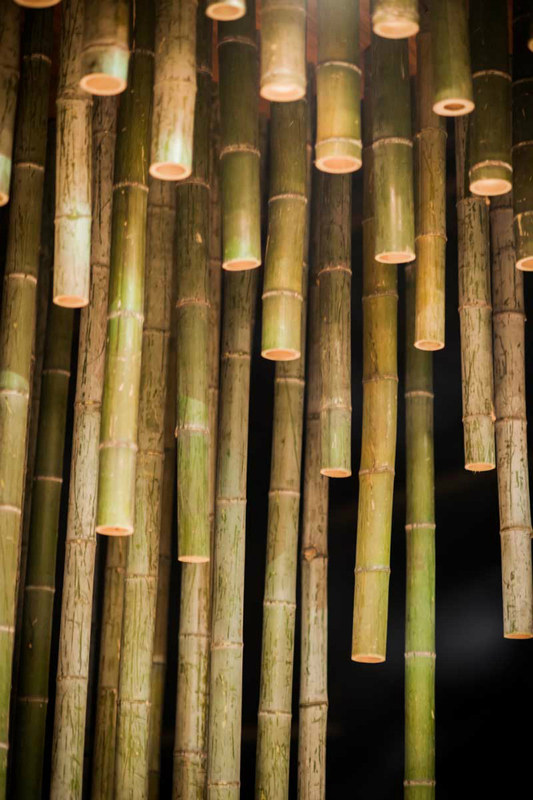 The bamboo reminds me of the LV store on the Champs Elysees and those steel rods in that room. But probably not as mellow as this place.